Business owners no longer have to worry about large budgets to build their business or corporate sites, Thanks to platforms such as WordPress, building a professional looking website for your business has never been easier. With a vast amount of free and paid templates on the market you can be sure to be bring a touch of class and professionalism to your online presence and brand. Some of the following free responsive WordPress business themes will surely help you out. WordPress is the most used and widely appreciated CMS online. WordPress has integrated with lots of free themes which are very easy to download and use. Amongst these free WordPress themes, there are lots of various WordPress business themes available to decorate your website with a corporate, modern and elegant look. Thanks to platforms such as WordPress, building a professional looking website for your business has never been easier. With a vast amount of free and paid templates on the market you can be sure to be bring your business right up to date. I always recommend using premium themes as they come with lifetime updates and support, but if you are on a budget then these free themes will work great for your business. 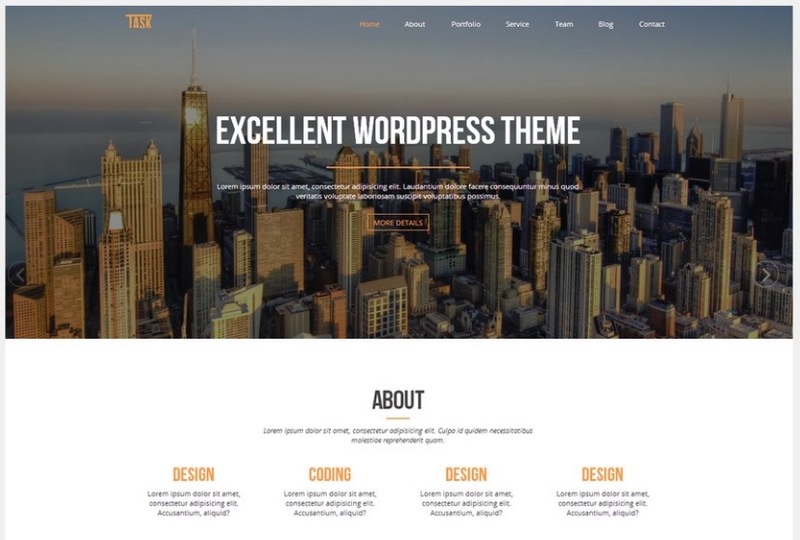 Almost all business WP themes are fully customisable these days which means you can customise the look and feel to fit perfectly with your own business or company. Adding your logo and colour scheme has never been easier. I have put together what I believe to be the 12 best free responsive WordPress business themes for 2019, which are free to use and suitable for every purpose and can be fully adaptable to your needs. These themes are fully loaded with great features like passionate design, best of typographies and device friendly, which means these themes are working great on various types of devices; mobiles, tablets, desktops etc. Louis theme is one of the best free responsive WordPress business themes which has a fresh, modern look that can be customised exactly how you like. This theme is suitable for personal blogs as well as business websites. This theme comes with a free WooCommerce plugin, which helps you to turn your business website into eCommerce site, which is perfect if you are planning to sell products directly through your site. It’s Very simple to set up and Live Customizer is a great addition to control the dashboard. If you are looking for a versatile and Multipurpose free responsive WordPress business themes,then MediaPhase would be the best one for you. It has the best uses in business and corporate aspects. It can be used to develop an online presence of shops, personal journals, blogs and digital agencies. This responsive business theme comes with an option which enables the traditional blog or grid based layout view of the website. Astride is an awesome responsive free WordPress theme which can transfer a personal journal or blog into a very effective business website. This theme can provide a website the look of elegance and corporate. This theme is also having some interesting participation over color options, header image, custom widgets, blog options and other options. Business One is comparatively a good responsive free WordPress business theme which has its best uses over corporate or business purpose attributes. This theme has better adaptability over various kinds of devices when the websites are being browsed. TH Business is a handy theme which can transform a website into a full professional business website very easily. 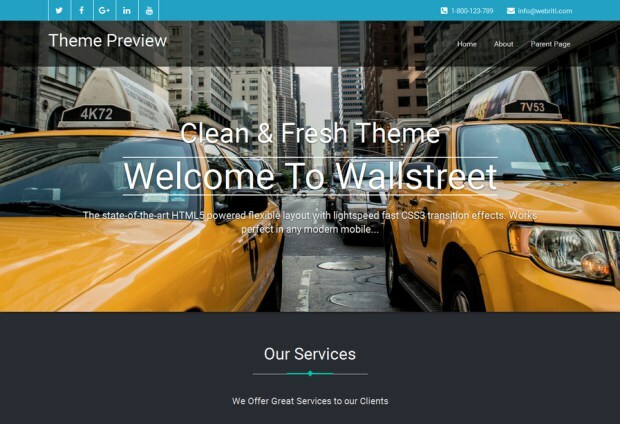 By using drag and drop technique, this theme allows the users to create websites which have the layout of simple and elegant. Spirited Lite is another best free responsive WordPress business themes which is suitable for every kind of needs. It has a sharp-elegant look which is suitable for various aspects of using it. From personal websites to commercial websites, Spirited Lite is a good responsive WordPress theme that can satisfy a user very satisfactory from the both ends. This HTML5, CSS3 and Bootstrap based theme is fully responsive in both the mobile and desktop components. It is integrated with a pre-built layout by which you can easily introduce your own homepage. The settings are very easy to use. If you are considering launching a corporate or business website, Coni would be a good one for that. This is a multipurpose all-around theme where each and every feature is having the right position to make it more user friendly. Coni is also a good responsive theme as well. West is a full-featured, ready-to-go, responsive theme that works great on providing superb and elegant look to your company website. If you are looking for a clean and modern looking WordPress theme, then XT Corporate lite free WordPress would be the best choice available. This is a full-featured responsive WordPress theme which is very easy to handle. BlueStreet is the most suitable WordPress theme to create a great and responsive business or corporate theme. This theme is the best one of those who are longing for the white background based theme, BlueStreet is surely one of the best free responsive WordPress business themes. If you are very keen on having a serious looking WordPress, then Sleeky WordPress theme would be the appropriate one. The included features gave it the corporate look which attracts the website owners to have it. Ravenna is another best free responsive WordPress business theme which is very lightweight and easy to use. This theme has been integrated all the functionalities which make it easy to navigate. For a start up business, where it is necessary to start a website as soon as possible to run a business, Ravenna theme would be the best one to go for.